The ISO is one of the first settings that a new photographer learns to set on their camera. Without the ISO, you would be very limited in the lighting conditions you could take pictures in. I'll do my best to explain the concept simply and directly at first, and then we'll add in lots of examples and more advanced information. Oh, and before we get any further, we need to cover one important thing. ISO is pronounced “eye-so” and never “I.S.O.” I know lots of photographers say it that way, but they are wrong. I want to give some suggestions on where I usually set my ISO for various shooting situations to give you an idea of what you might pick. Keep in mind that newer cameras will do much better with noise than older cameras, so you might not be able to get up as high if you're on an older camera. If you want to understand more about how ISO, aperture, and shutter speed work together, please take a minute to read our highly-regarded Photo Basics Series. That page also has a convenient cheat sheet for setting your exposure. Photographing the Milky Way at night – ISO 3200. Unless you have an extremely fast-aperture lens like an f/1.8, you'll probably be at ISO 3200 to gather enough light to photograph the Milky Way. When doing night photography, you can't really go longer than 15 seconds of shutter speed or else the stars will look oblong due to the rotation of the earth. Outdoor sports photography on a bright day – ISO 100. Since it's bright outside, you'll have no problem exposing the photo. Even if you choose a fast 1/2000 shutter speed to freeze the action of the moving athletes, you'll be fine with ISO 100 on a bright day. Taking product photos on a white backdrop and using flashes – ISO 100. In this case, you might as well stay at ISO 100 to get a noise-free image, because if you need more light you can simply increase the power of the flash. High school basketball game with dim gym lighting – ISO 3200. This high of an ISO will certainly produce some noise in the photo, but it's probably necessary. Because the players are moving around quickly, you can't reduce your shutter speed to gather more light, and your aperture will probably be maxed out in a situation like this. Indoor family photos not near a window – ISO 1600. Even with all of the lights on in a room, it's usually dimmer than you might imagine. Unless your home is very bright, you usually won't be able to take pictures at ISO 100 even if you cheat down on your shutter speed and use a fast aperture. 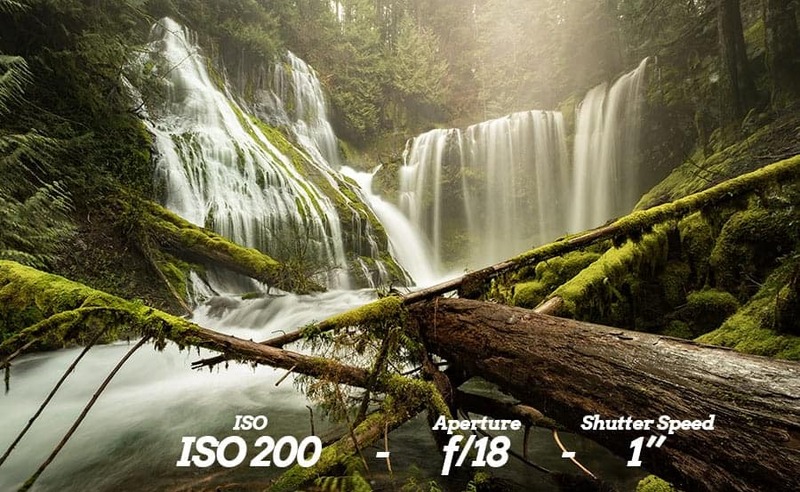 Photographing a waterfall – ISO 100. This obviously depends on how bright it is near the waterfall, but generally, you'd want a low ISO so that you could get a long shutter speed and make the water look silkier. If you increased your ISO and shot with a slow shutter speed, the resulting image would probably be too bright even if you used a small aperture. 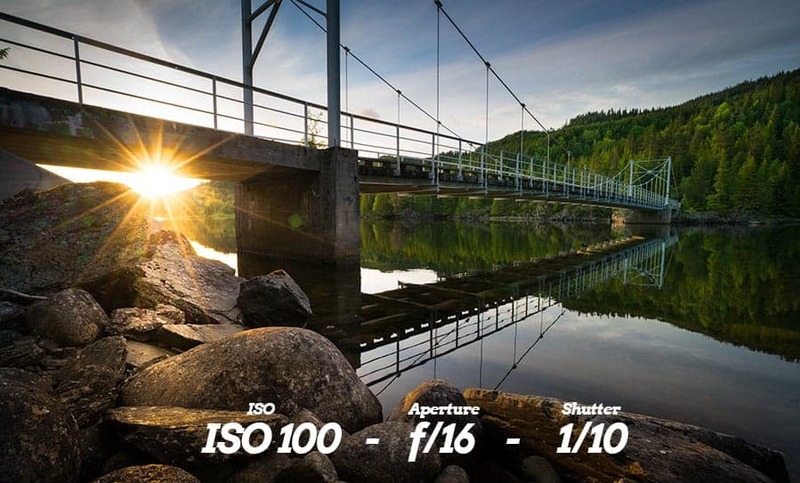 Photographing a sunset – ISO 800. This is tough to put a number on because before the sun goes down, it's usually still quite bright; however, most landscape photographers know that the best sunset color is usually after the sun is under the horizon for about 20 minutes. In this case, it'll be quite dark. You may be able to use a long shutter speed of 2 seconds if everything in the scene is still (like a mountain in front of the sunset) in which case you could use ISO 100. But if you're near ocean waves, for example, you'd need a little higher ISO so the shutter speed could be kept up. The job of the imaging sensor on your camera is to record the light that comes through the lens. This is the raw information that your camera will use to produce a picture. Your camera sensor tries to determine what is light hitting the sensor, and what may be a stray electric signal, excess heat from the camera, etc. When the subject of your photo is very bright, it's easy for the sensor to tell the difference because the signal-to-noise ratio is high. When the light is weak, the sensor has a harder time determining what is extraneous heat or electricity, and what is light. This is why the ISO makes the image brighter, but also why higher ISO photos have more noise in them. Suppose you are listening to an audiobook on your phone, but the recording isn't very good. What would you do to understand the words more clearly? You'd probably turn up the volume. When you do, you're able to make out the voices better, but it also means the sound of the noise in the recording is amplified. ISO works the same way. Just as turning up the volume makes the voice louder but also increases the noise in the recording, the ISO helps the camera capture more light but it also amplifies the noise in the picture. Note that the highest number a camera advertises is NOT the highest ISO that will produce a noise-free image, and that just because one camera's max ISO number is higher than another does not mean that it does better in low light. The only way to know if a camera does better than another one in low-light is to actually go test them. Also, note that in the above list I included the “expandable ISO.” This is just ISO that is performed with software on the camera to brighten the image. The expandable ISOs are always so incredibly grainy that you'll never use them. It's just a way for the camera manufacturers to advertise something that sounds impressive. How high you can set your ISO and still produce a clean image that is relatively noise-free depends on (1) your camera, and (2) the subject of the photo. Your Camera. When I started shooting digital cameras seriously, I used a Canon Rebel XS. On that camera, ISO 800 was very noisy. Now, many years later, I can shoot at ISO 800 and not notice any noise whatsoever. With each year, sensors improve and produce better low-light performance. Higher-end cameras also perform quite a bit better than entry-level cameras. The Subject of the Photo. Shooting a portrait of someone and then shooting a landscape at the same camera settings will obviously produce the same amount of noise; however, it's important to keep in mind that we have a higher tolerance for noise in some types of images just because we know that it's a necessary evil. For example, shooting a sports photo at a high school football game under the dim lights simply isn't possible without some noise in the photo. You have to accept some amount of noise. The same is true for night photography. However, in wedding photos or portraits, we generally have a lower tolerance for noise because they can be captured relatively noise-free if the camera is set properly. The best way to know how high you can get away with setting your ISO is to simply go into your living room and have a family member sit on a chair. 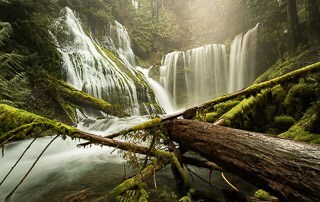 Set your camera to ISO 100 and compensate with your aperture and shutter speed to try to expose the photo properly. Then move up to ISO 200, ISO 400, ISO 800, ISO 1600, ISO 3200, ISO 6400 up to the highest ISO your camera has. Then go look at the images on a computer screen and see how high you can go. Remember that you'll have to tolerate some noise in very dark situations where there is no other choice, but this will give you an idea of how high to set it. If you are brand new to photography, it really is worth spending a little time learning to set your camera's aperture, ISO, and shutter speed confidently. If you spend a few minutes learning how to do it in an organized way, it'll put you two years ahead of most people who buy a camera and then never really learn how to use it. Please take a minute and check out my Photography Start video tutorial. It's a video series you can stream or download to your computer. It's the very simplest way I know how to get you started taking breathtaking pictures in just a couple weeks. The class is easy and you can learn it in one night.